My goal: Promote life-long health and physically literate learners and share best teaching practises with fellow teachers and colleagues! We are all learning together! 12 WAYS OF FITNESS is a great December Theme! Get the students heart pumping as the cold weather moves in! I think building the idea of a GROWTH MINDSET in phys-ed and specifically fitness, will allow students to set personal goals to improve their own personal fitness and hopefully find enjoyment and self-satisfaction in the journey of trying to achieve these goals. Goals setting, looking at strengths and areas for improvement, are some ways to begin to challenge students to grow in strength both physically and mentally. I stumbled upon a great twitter post by @MrMetcalfPE, called CHALLENGE ME! 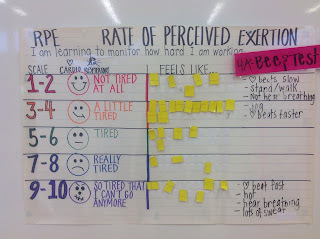 https://mrmetcalfpe.wordpress.com/ and I thought integrating a variety of physical activity and fitness challenges, while teaching students about building a growth mind set inside the gym and out in the classroom and into the real world, would be a good combination. Getting students ACTIVE FOR LIFE is the ultimate goal and making the body-brain connection is so important. 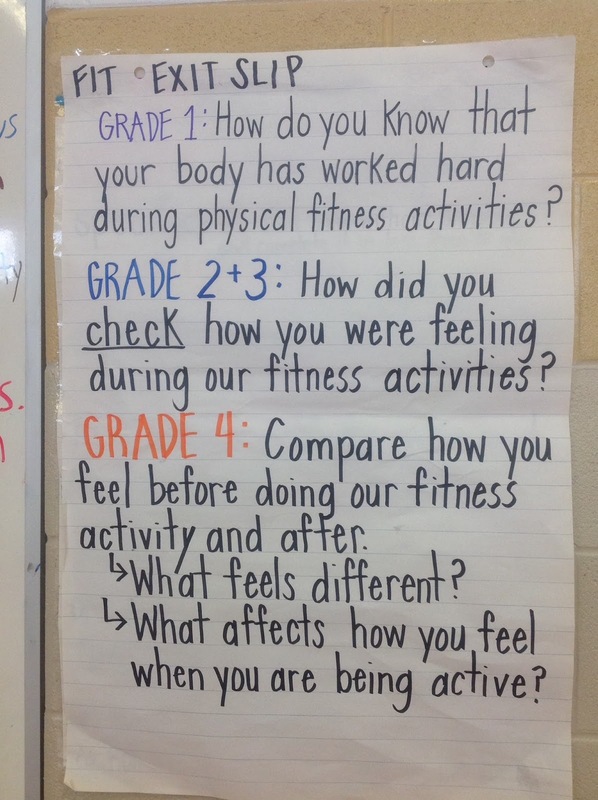 Below are some ways students will be thinking about, reflecting upon, being critical thinkers about their own learning while stepping into physical activity and fitness challenges! This sample performance appraisal focuses on the Components of Fitness, taking heart rate before, during, after exercise, setting short and long term goals, as well as re-visiting at varied times during the year. 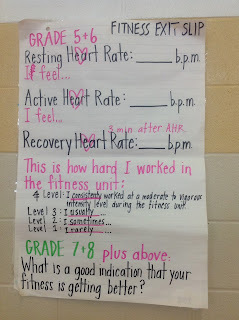 I have recently changed this recording sheet to meet the needs of the students at my new school (less activities, removed heart rate section etc.,...previous schools I was able to build on previous years teaching to train students and allow them to build on their knowledge and understanding to be able to apply their learning on a recording form like the sample below). 6. FITNESS Q-CHART (click on link). 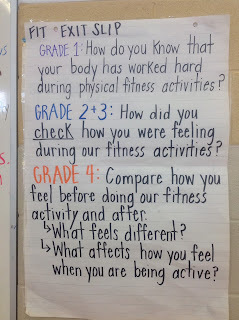 Allowing intermediate students to be critical thinkers about fitness and being physically active. 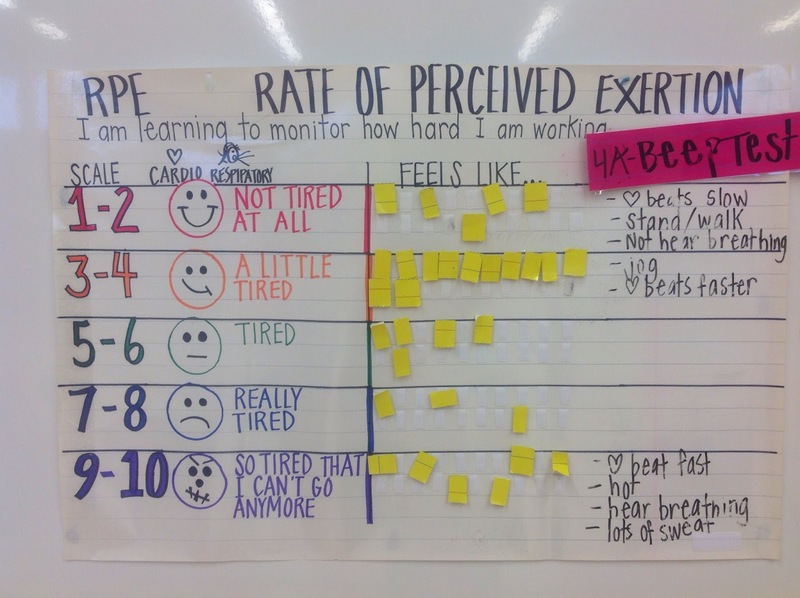 Purpose of this activity: to have students focus on being able to talk (talk test) with a partner and monitor their intensity level (how hard they are working). Students can also use the breath sound check to monitor intensity level (described below). Students can use the Running Topic Cards to strike up a conversation while jogging. It can make the daunting word ‘running’ seem a little more exciting. Designate a ‘running track’. For example, circuit around a park, field, fitness track, gymnasium, or yard. Instruct students to find a partner then take one Running Buddy Topic Card from the box. Have students run a designated number of laps. Each lap completed students can discard their topic card and pick up a new one. Whose shoes do you want to walk in? Why? What should a friend never do? I eat 3 balanced meals every day. Healthy eating is important to me. My family is concerned about physical health.. I participate in regular physical activity outside of school. I participate in extra-curricular sports within the school and/or the community. I feel better when I am fit. Being fit is important to me. I am competitive when I play sports. I enjoy physical education class. □ I am good at it. □ To receive an award. □ To be more like a sports hero. □ My family wants me to. □ My friends want me to. Describe what you do to be active on a daily and/or weekly. What can I do as your Health & Physical Education teacher to help you achieve success this year? From the choices below, circle what living skill(s) is/are your strength. From the choices below, circle what living skill(s) you would like to work on or improve. 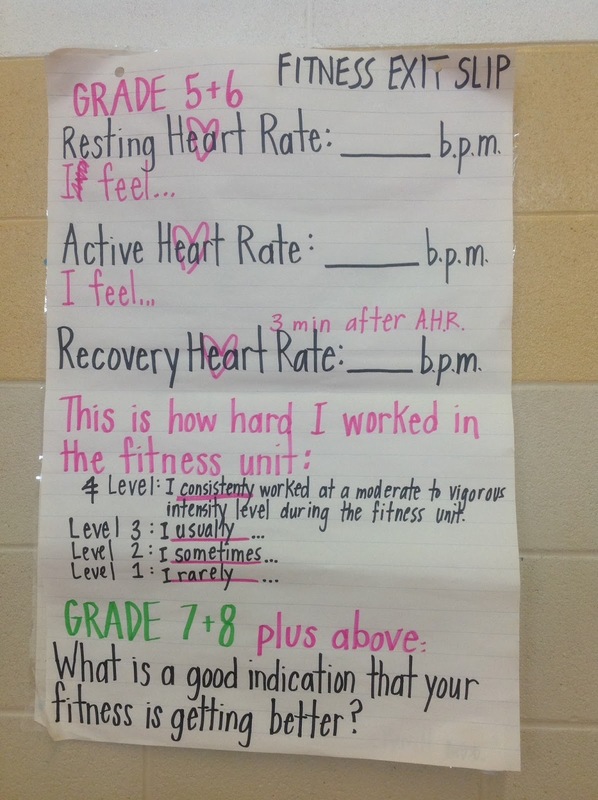 Explain to the students that this is an add-on fitness activity using 12 student leaders. They will perform some fitness exercises (poster on chart paper for them to remember what comes next) and it works very much like the Christmas song "The Twelve Days of Christmas" where the students add on and perform the next number of exercises. All of the students will do the exercises together. For example, all do 4 sit-ups together, then they do 3 push-ups, etc. Below is an example of “The 12 Ways to Fitness” complete with suggested fitness exercises. Have students get into groups of 12 and perform this activity. Have students choose the exercises to do. * Safety Considerations: No jewelry; proper footwear; obstacles cleared; make sure students have own personal space when performing activities.